The shaft for the SII-2215 motors measures 3mm in diameter, and is 52.0mm in length. 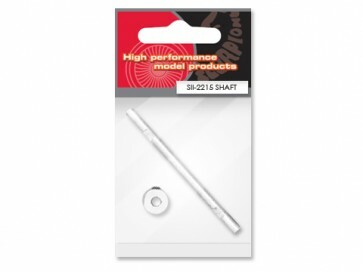 The shaft kit will also fit other brushless motors that require a 3mm shaft of this length. The shafts can be cut shorter with a Dremel tool and a cut-off wheel if necessary to fit other motors.